Halloween tarot cards: Are they really that scary? Many people tend to either go and visit a psychic, get a tarot reading or use their own tarot cards around the time of Halloween. This is because it is thought that Halloween is the time when the veil between our world and the spiritual world is at its thinnest. On the other hand, some people are a little perturbed by indulging in psychic activities around this time because of the spooky nature of Halloween. Many people are terrified of getting the two “horror” tarot cards: Death and The Devil. 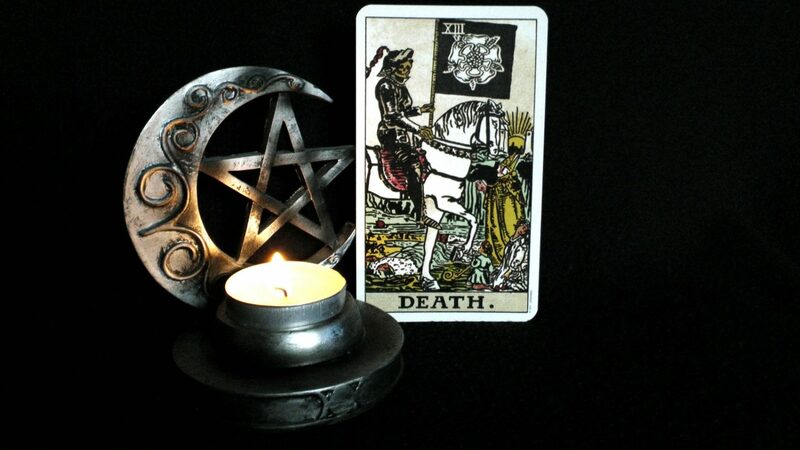 Now, we’ve spoken before about why you should never fear the Death card, but we’re going to reaffirm what it, and The Devil card really mean, and where the fear has come from. A lot of people think that drawing the Death card in a tarot reading is a sign that they, or someone close to them, is about to die. If you’ve watched a horror film in the last 20 years you’ve probably seen this happen. It is because of its use in pop culture that people who are new to tarot have this perception of the Death card. But the notion that drawing the card means imminent death is completely false. Tarot cards are much more complex than this and should never just be taken at face value. Drawing a Death card can mean a number of things; all relating to change, or the end of an era. For example, it could indicate that you’re going through a transitional period in your life. Are you moving home? Thinking about changing jobs? It could even signify a new baby on the horizon. All positive changes. On the negative side, it could mean the end of a relationship or an unexpected bump in the road. But not necessarily death, and all things you can overcome. So, really, the Death card isn’t anything to be scared of – even around Halloween. 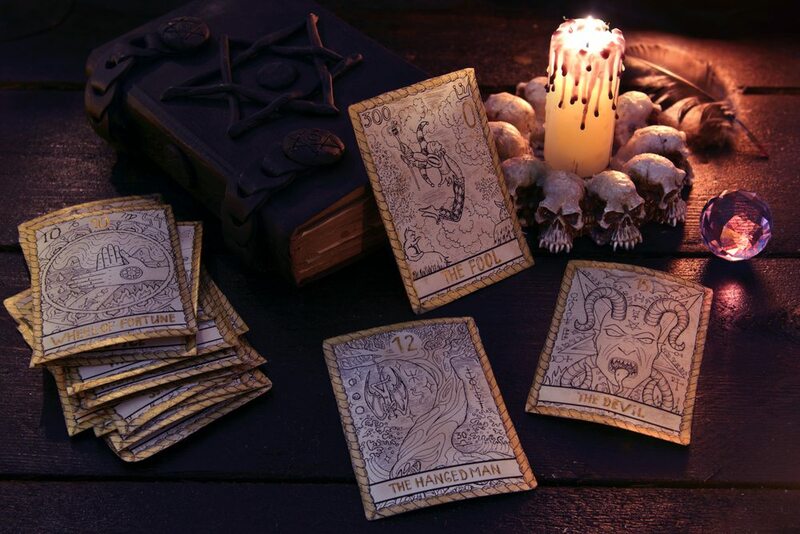 The devil and Halloween are very closely associated, so it makes sense that people may be worried or scared of drawing The Devil card during their tarot reading. In popular culture, the devil is associated with evil, bad events and horror stories. Whilst the card may look pretty scary, the card’s meaning is far from it. It actually represents our inner self or shadow self. After all, we all have a devil inside us! Drawing The Devil card during a tarot reading can indicate that you need to be more introspective. Are there some negative emotions or issues that you’ve been holding on to? Do you have some unhealthy feelings or attachments that you’ve been hiding from? 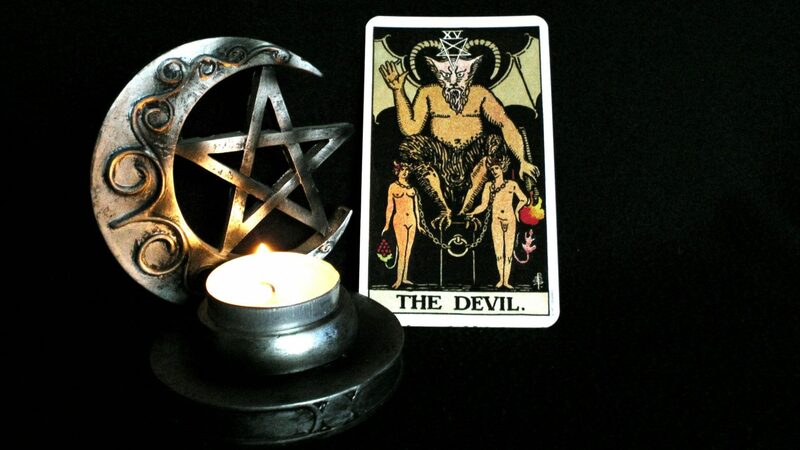 The Devil card signifies that they need to be addressed and that it’s time to work on your inner self. Rather than being a scary, bad omen, the card actually represents a better you and the hope that you can improve yourself from within. The only fear with this card comes from your own fear of introspection! Hopefully you can now go for a tarot reading around Halloween with no concerns about these cards.